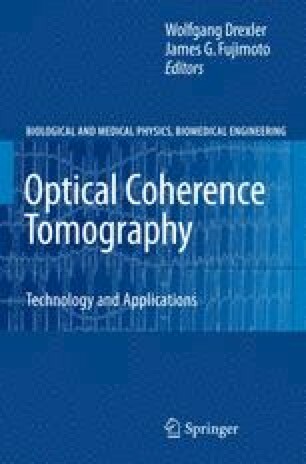 This is a review of a technique for high resolution imaging of the eye that allows multiple sample sectioning perspectives with different axial resolutions. The technique involves the flying spot approach employed in confocal scanning laser ophthalmoscopy which is extended to OCT imaging via en-face fast lateral scanning. The ability of imaging with multiple axial resolutions stimulated the development of the dual en-face OCT-confocal imaging technology. Dual imaging also allows various other imaging combinations, such as OCT with confocal microscopy for imaging the eye anterior segment and OCT with fluorescence angiography imaging.